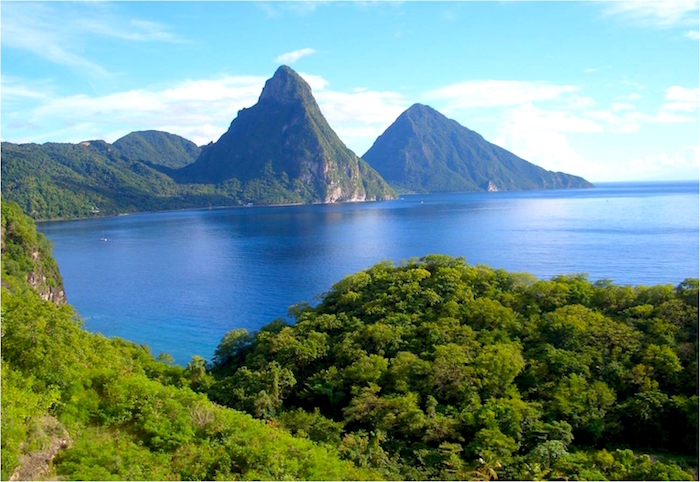 From the nestled coves, to the lush tropical forests and exotic waterfalls, the natural beauty St. Lucia possesses guarantees an unimaginable experience. On arrival, enjoy a light breakfast snack and commence with a drive through the city of Castries, continuing over the volcanic hills deep into the tropical rainforest, towards Soufriere, visiting the Botanical Gardens, Toraille Waterfalls (have a dip in the cascading mountain spring) and the Sulphur Springs – one of the only walk in Volcanoes in the world. Next stop is a restaurant for a delicious buffet lunch. After all the fascinating scenery, commence the leisurely drive back to the airport, stopping for a photo opportunity (if time permits) of Scenic Marigot Bay, where movies such as Dr. Dolittle, Fire Power and Blue Lagoon were filmed as well as the arch at Ciceron, a scene location from the film ‘Pirates of the Caribbean’. The Experience includes: Return flights & taxes; Ground transfers; Light breakfast snack; Buffet lunch; Select complimentary drinks; Open Jeep or Enclosed SUV (depending on group size); Entrance fees.